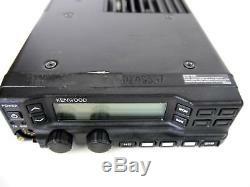 Kenwood TK-5910-K 700/800MHz P25 Transceiver Remote Control Head Radio. 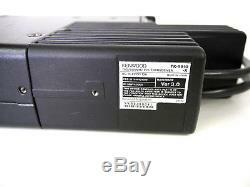 Due to lack of equipment these transceivers have not been tested by us. No cables and accessories are included. 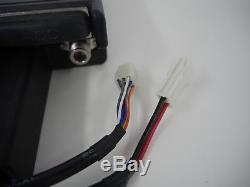 Part is used and shows minor signs of use, but is in good overall physical condition. These units were pulled from a working environment. Previous agency that owned these units had etched their name and inventory numbers in topside of the head. Then the name was then ground down when units were removed. PLEASE SEE PICTURES FOR DETAILS. Also, feel free to ask any questions pertaining to this item. We strive to describe every item to the best of our ability. We are not experts on many of the items offered. Customer Service is our utmost priority. 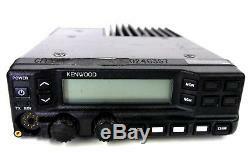 The item "Kenwood TK-5910-K 700/800MHz P25 Transceiver Remote Control Head Radio" is in sale since Friday, October 20, 2017.